Charlie Sheen has been sentenced to 30 days of residential drug treatment after agreeing to a plea agreement in a third degree misdemeanor assault charge. The star of ‘Two and a Half Men’ won’t spend any time behind bars after pleading guilty to a third degree misdemeanor assault charge in Colorado – being sentenced instead to 30 days in drug rehab, 36 hours of anger management education and 30 days of probation. Since Sheen has already spent 93 days within the year at a treatment center, he may already have served the addiction treatment component of the sentence. The charges stem from a drunken Christmas Day assault of his wife Brooke Mueller, during which he waved a knife and threatened to kill her. Because Sheen agreed to plead guilty to the charges of third degree assault, prosecutors agreed to drop more serious charges – including a felony menacing charge. Mueller has forgiven Sheen for the incident and supported the dropping of all felony charges. 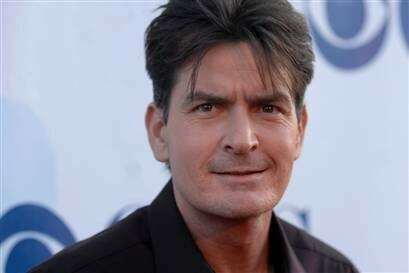 Sheen has previously spent time in drug rehab to deal with his addictions. In 1996, Sheen pled no contest to charges of battery after he threw to floor and beat adult film actress Brittany Ashland. Sheen’s previous wife, actress Denise Richards, filed a restraining actress against Sheen during their divorce proceedings, alleging that Sheen had threatened to kill her. After sentencing, Sheen thanked court officials and said, "I look forward to complying with the court's decision, getting on with my life and putting this behind me."